Last weekend we decided to escape the rain at home and head down to the beach! The weather could not have been more perfect. Sunny and warm. The best way to beat the winter blues!!! We haven't been down to Destin/Sandestin, FL in several years. We were really excited to go back for a few days. 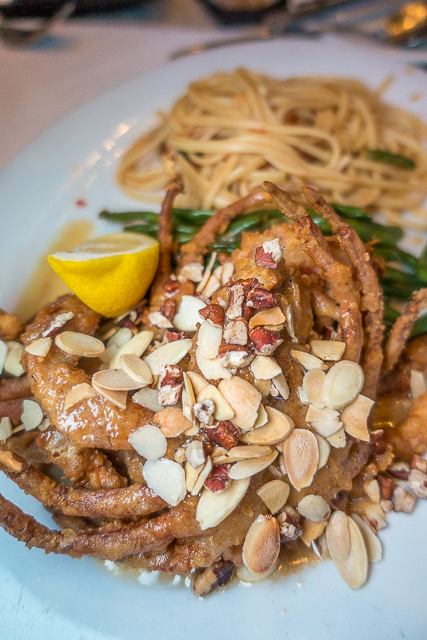 We hit all of our favorite restaurants and tried a new place that is now our FAVORITE! You don't want to miss these places! Save this post for your Spring Break and Summer beach trips. Pompano Joe's was our first stop when we pulled into town. I love to eat here mainly for the VIEW! Chicken Legs got the Fried Shrimp Po Boy. It came with fries and Pineapple Slaw. 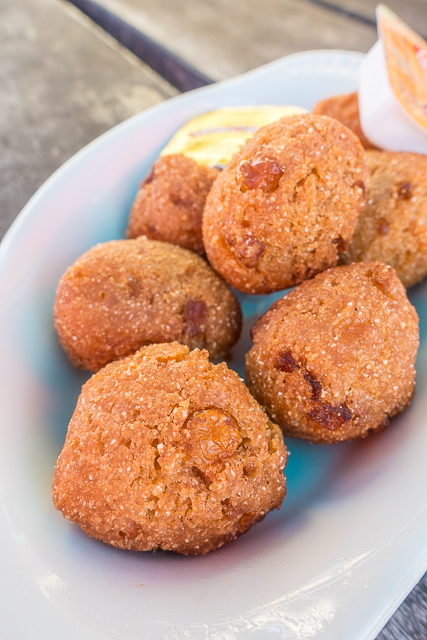 We got an order of hushpuppies to share. I LOVE hushpuppies and these were delicious! 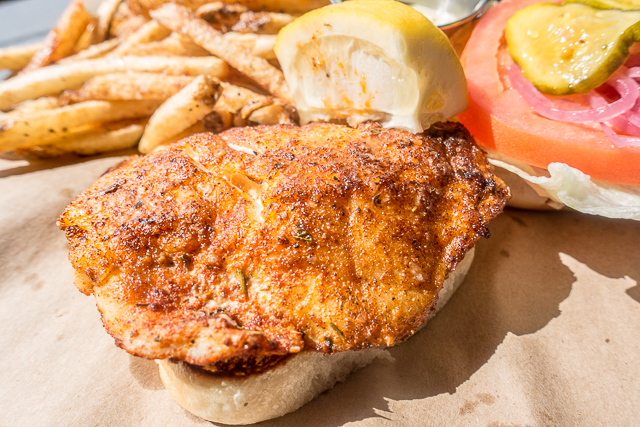 I am not a seafood fan, so I got the BBQ Chicken Sandwich. 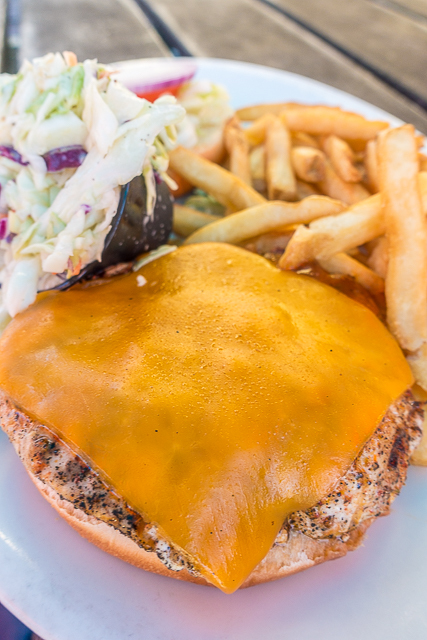 It was blackened chicken topped with BBQ sauce and cheese. It was also served with Pineapple Slaw and fries. Fat Clemenza's is one of my FAVORITE places! We usually get pizza, but this time we explored the menu! 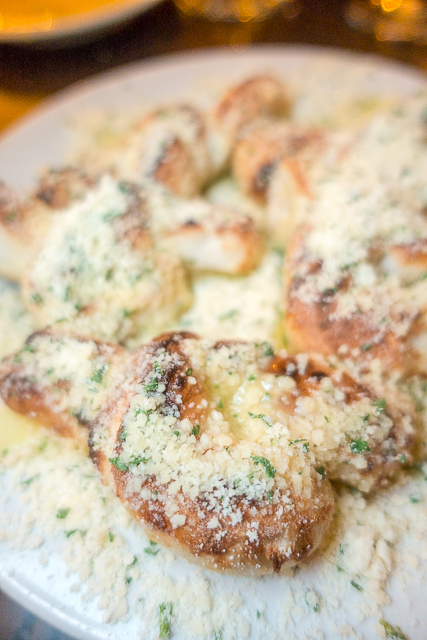 We started with the garlic knots. O-M-G! I sopped up ALL the yummy garlic butter on the plate. I wanted to lick the plate! SO good!! 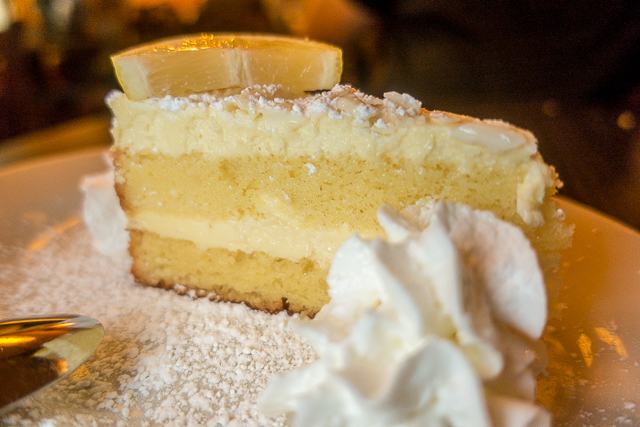 We were absolutely stuffed, but made room for this Limoncello Marscapone Cake. It was a sponge cake with a light and creamy limoncello cheesecake type filling. 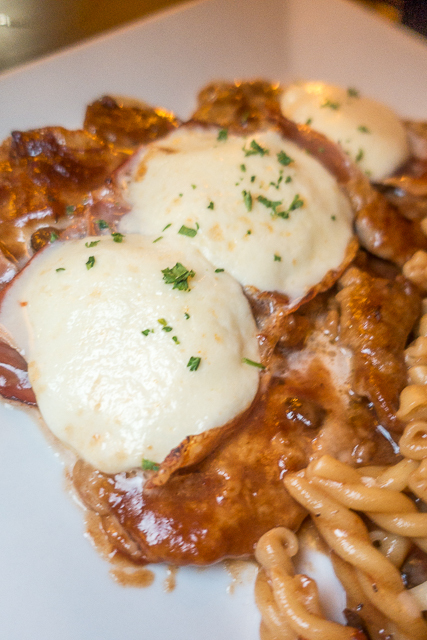 Reservations aren't required, but I highly suggest getting one. 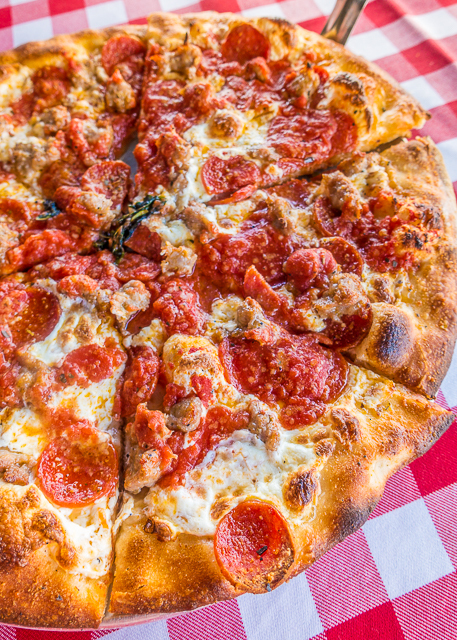 We always love sharing a pizza at Grimaldi's! I know it is a chain, but it is SO good!! 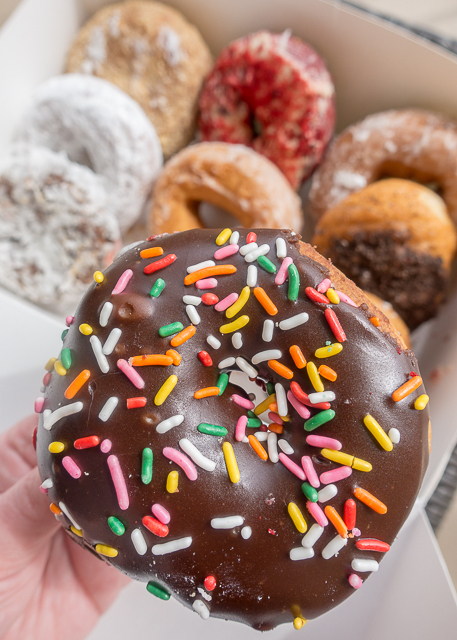 The Donut Hole is a great place to grab breakfast or a dozen donuts. 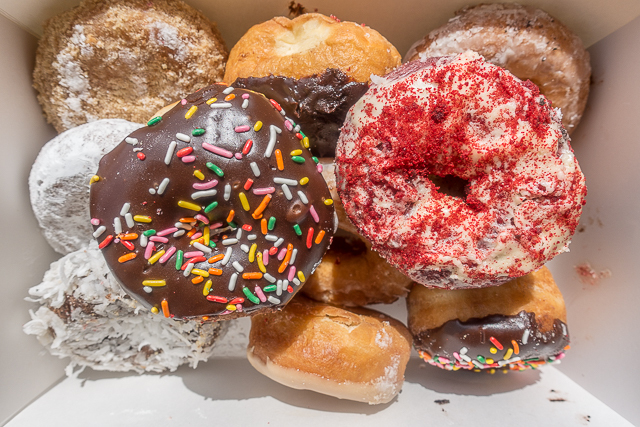 We opted for donuts on this trip. Seagar's is located inside the Hilton Sandestin. This is Chicken Legs FAVORITE place in Sandestin. We snagged a seat at the bar. We got lucky. It was unusually busy for February. We shared everything. 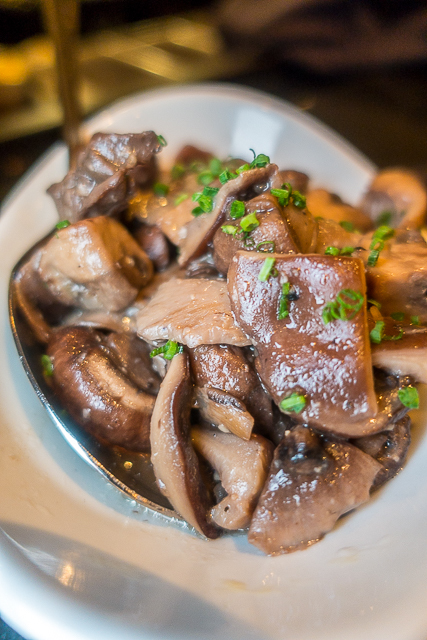 Well, everything except these mushrooms. I'm not a big mushroom fan. That is just fine with Chicken Legs! We shared a big fat Filet. 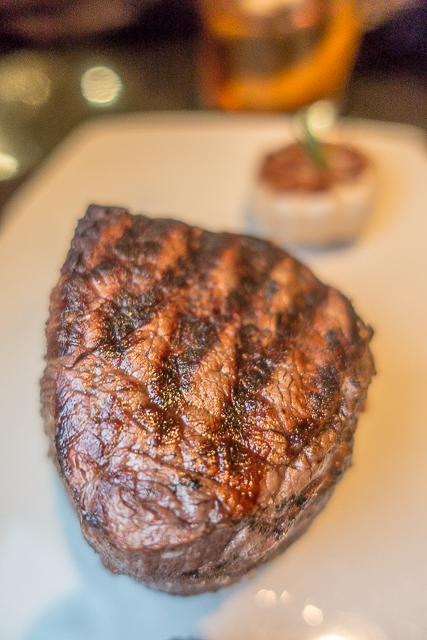 We ordered it Medium-Rare and it was perfection! 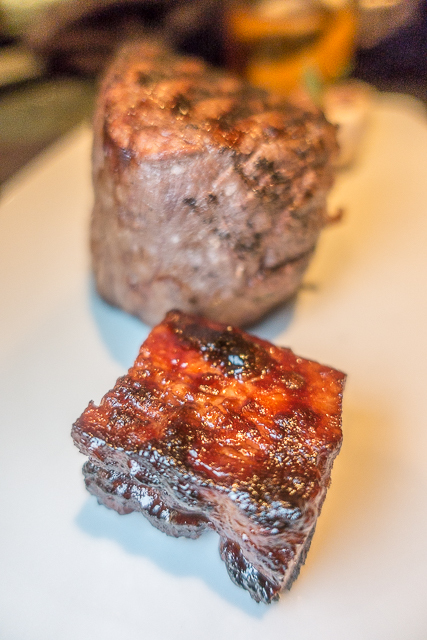 We got a side of Pork Belly with our steak. It was TINY and cost $14. It was good, but I say skip the add-ons with the steak. 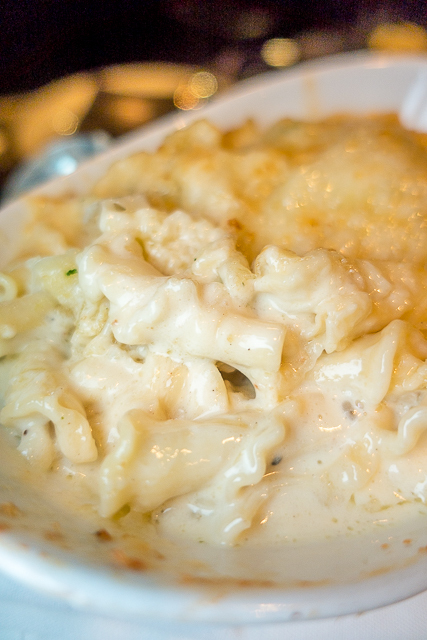 We also got an order of the mac & cheese. 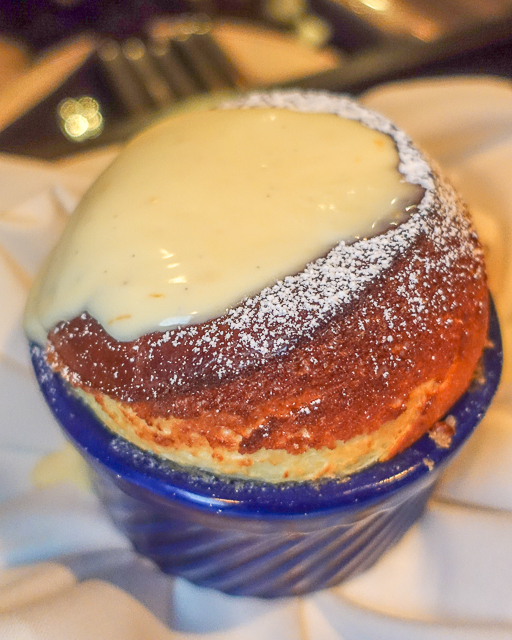 We couldn't pass up the Grand Marnier Soufflé. It takes about 20 minutes to make the soufflé, so plan ahead. It was worth the wait! HEAVEN!!!! 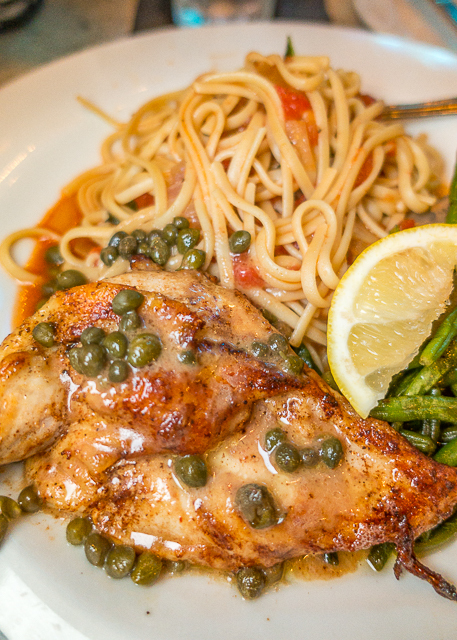 You can make reservations directly with the restaurant or on OpenTable. 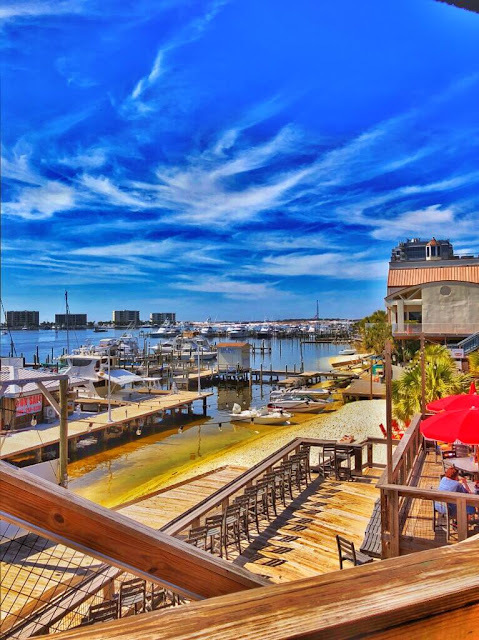 Boshamp's is our new FAVORITE place in the Destin area. We ate outside in the bar area and had a great view! 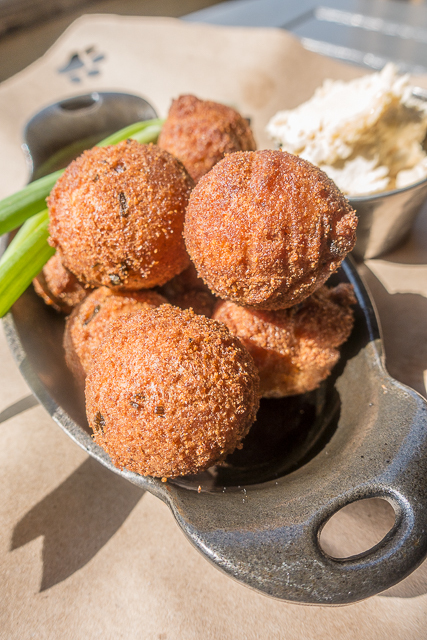 I have a big love of hushpuppies, so we started with an order of hushpuppies. 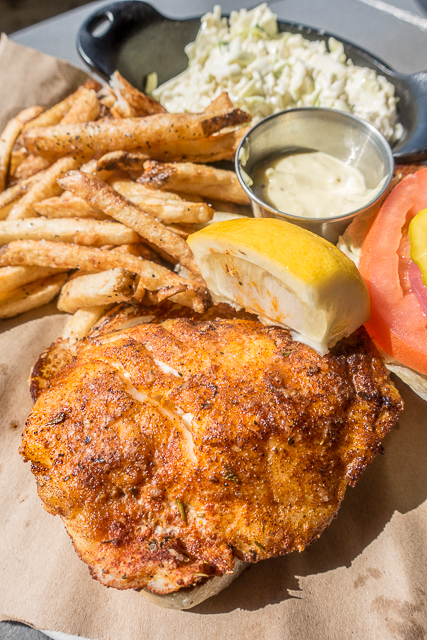 Chicken Legs got the Blackened Grouper Sandwich. This was expensive, but SO delicious. He ate every last bite! 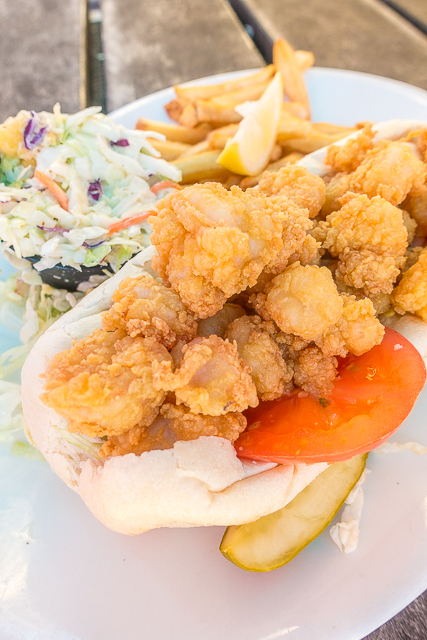 Probably the best grouper sandwich in Destin! 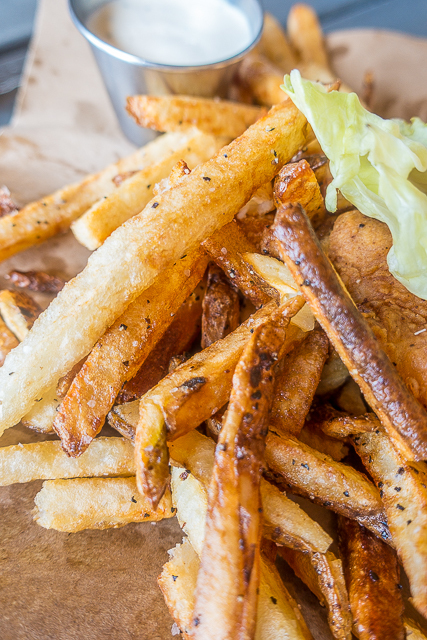 LOVE hand-cut fries like this!! I got the Fried Chicken Sandwich. It came with a homemade Tomato Jam and Homemade Ranch on the side. 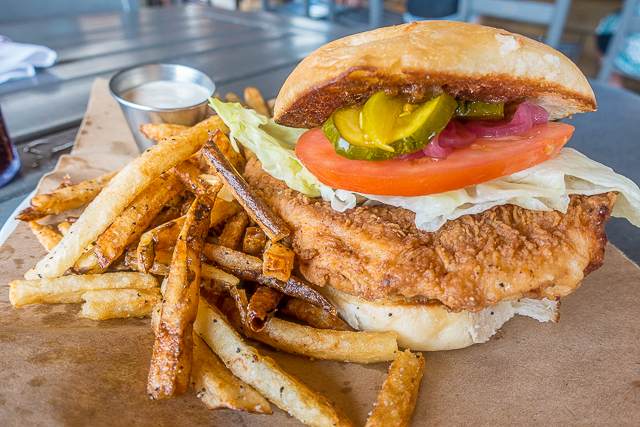 Y'all - this was hands-down THE BEST fried chicken sandwich I've ever eaten! The BUN! OMG! SO soft and delicious! I wish I could eat this again today! SO good. This is our new favorite place! Ocean Club has been a favorite of ours for years. Chicken Legs used to travel to Destin for work, and this was his go-to place. 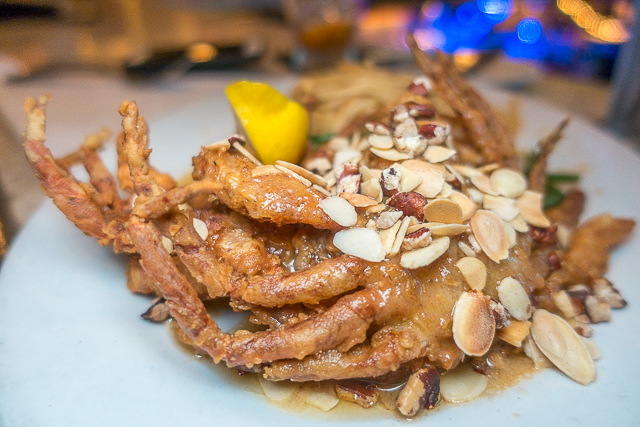 We started with the Crab Cake. It came with remoulade sauce. SO good! I could have eaten a dozen of these! 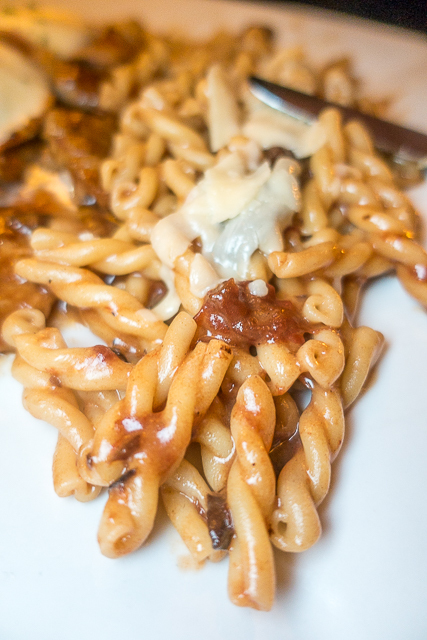 It was topped almonds and pecans and served with a side of pasta. I got the Chicken. 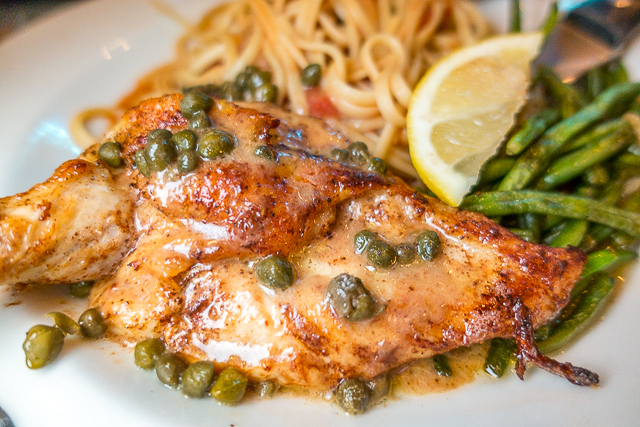 It was like a chicken piccata with a lemon and caper sauce served on top. 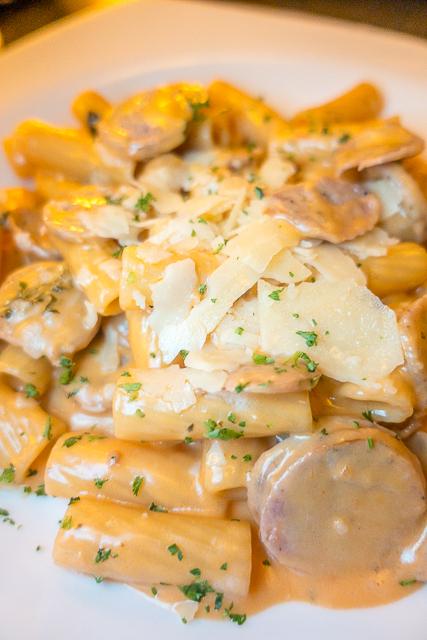 It also came with a side of pasta. 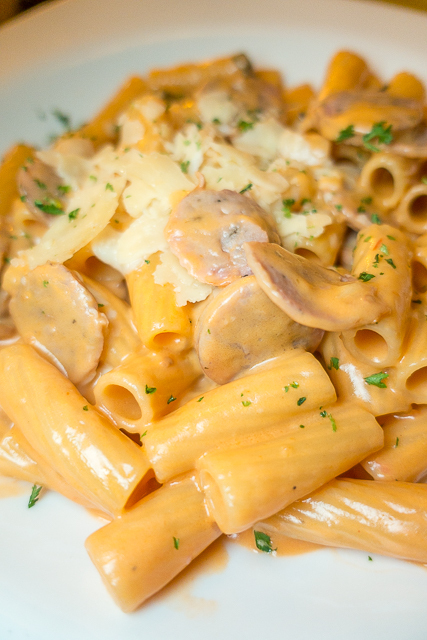 The pasta was SO good. I ate every last bite! The flavor was amazing. I need to try and recreate it at home. Ocean Club is mostly a local place. They have live music and people dance on the dance floor. It is a really fun place with fantastic food!!! 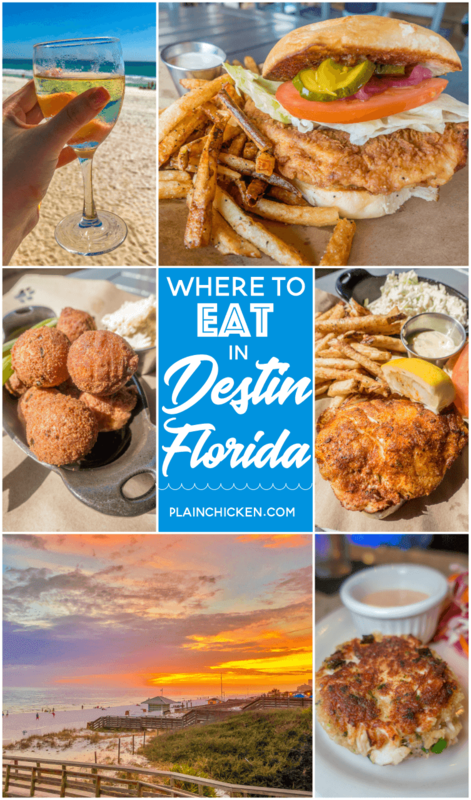 It is always on our list when we are in Destin! 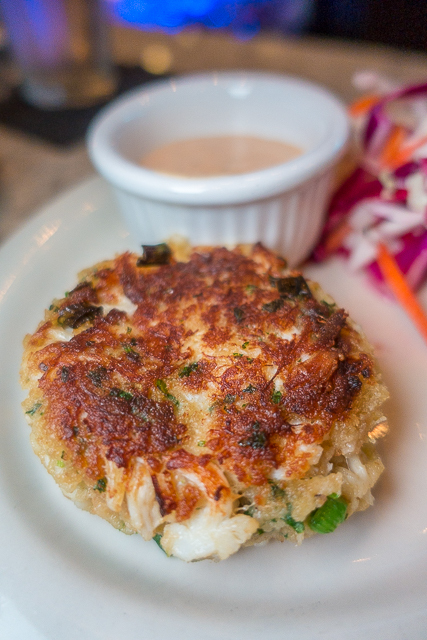 If you like crab cakes, try Sarah K's gourmet next time. It is in a strip mall across from Destin Commons. They are pricey but so good. It's almost 100% crabmeat. So good!